As a Peridontist, Dr. Davidson has completed a university post-graduate specialty program in periodontics and treats gum problems. Periodontal specialty programs are an additional two to three years of study following graduation from a four-year dental school program. He earned his dental degree from the Washington University School of Medicine. and furthered his education at the University of Missouri – Kansas City earning a Master of Science degree. 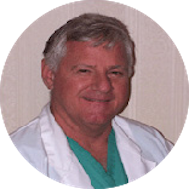 Dr. Richardson has taught numerous classes at Washington University School of Medicine and currently teaches in the Dental Department of Otolaryngology.